The telecommunications group has received a major shake-up, which has resulted in the appointment of a new chief operating officer and the “resignation” of the CEO of its Nigerian operation and a significant change to its operating structure. Its Nigerian CEO, Michael Ikpoki, and the country head of regulatory and corporate affairs, Akinwale Goodluck, have “tendered their resignations with immediate effect” in the wake of the US$5,2bn (now $3,4bn) imposed by the Nigerian Communications Commission. Ikpoku and Goodluck have been replaced by Ferdi Moolman and Amina Oyagbola respectively. Moolman was previously chief operating officer at MTN Irancell and most recently chief operating officer at MTN Nigeria. Oyagbola, meanwhile, also retains the position of MTN Nigeria’s head of human resources. She was formerly headed regulatory affairs at the Nigerian operating company. The moves come less than three weeks after the resignation of group CEO Sifiso Dabengwa and the appointment by the board, on an interim basis for six months, of former CEO Phuthuma Nhleko as executive chairman. 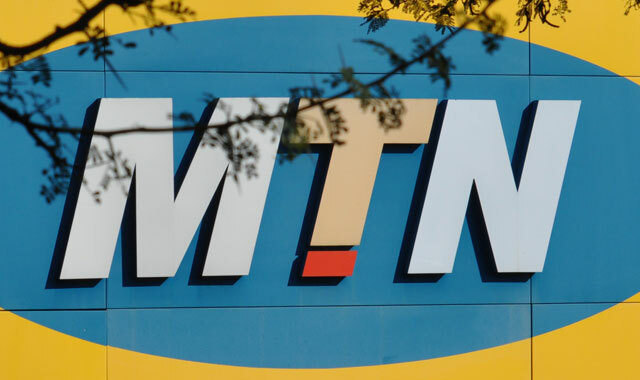 “MTN Group has reviewed its operating structure with a view to strengthening operational oversight, leadership, governance and regulatory compliance across its 22 country operations in Africa and the Middle East,” it said in a statement to shareholders on Thursday morning. With the financial year closing on 31 December 2015, the group will report its results in line with the former structure — namely for MTN Nigeria, MTN South Africa, large operating companies and small operating companies. Effective 1 December, long-serving MTN executive Jyoti Desai has assumed the new position of group chief operating officer. Based in Johannesburg, she reports to Nhleko. Desai has 14 years’ experience at MTN. She previously held the positions of chief information officer at MTN Nigeria, was chief operating officer of MTN Irancell and was recently seconded to support the Nigerian operations following the decision by the Nigerian authorities to impose a record-setting US$5,2bn fine against the company. Two regional vice-presidents have been appointed, too, both also reporting to Nhleko. They are Karl Toriola, who will run the WECA region, and Ismail Jaroudi, who will look after the MEA region. A vice-president for the SEA region will be announced soon. “Based in Nigeria, Toriola has been at MTN for 10 years, having held senior operational roles at MTN Group and MTN Iran. He was formerly also the chief technology officer at MTN Nigeria and CEO at MTN Cameroon,” MTN said. “Jaroudi has been CEO of MTN Syria since 2006. Prior to this, he held senior operational roles for Investcom’s subsidiaries across the Middle East and North Africa,” MTN said. The group has also appointed a new executive for mergers and acquisitions, Matthew Odgers. Odgers is the former head of technology, telecoms and media for Africa and the Middle East for UBS. He will also report into Nhleko. “The revised structure and strengthened leadership will improve operational oversight and increase management capacity. This will enable MTN to continue to realise its strategy and vision, while also ensuring we achieve high governance standards and robust risk mitigation,” said Nhleko in the statement to shareholders.